Your personal injury attorney in Newport Beach will discuss the case as it proceeds as will the insurance adjusters. Some claims get a round-table discussion with a panel of adjusters and some don’t. If an adjuster says the case is in front of a claims committee, they can sometimes mean just themselves and a supervisor. 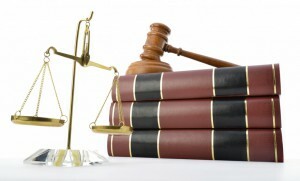 A Newport Beach personal injury lawyer handles many cases; so do adjusters. Cases can range from minor to major injuries. Adjusters won’t be impressed by claims that your knee pain is ruining your life. They will only be impressed by facts. That’s why your personal injury attorney in Newport Beach will advise you on proper documentation of medical bills. Your loss of income will need to be supported by a doctor’s note. Hard data, not stories about hardship, will be more important as your adjuster evaluates the case. The insurance adjuster must get approval from their supervisor or manager when a case is ready to settle. Your personal injury attorney in Newport Beach will advise you if you’re working with a large national company or a smaller regional one. This is important because larger companies give authority for settlement in small increments, sometimes as small a few hundred dollars. If an adjuster says they need to get authority to move from $10,000 to $12,000, it is likely the truth. During negotiations, adjusters spend a lot of time on a file. If it’s a tough claim, it will take more time. That said, adjusters do not look at all of their cases every day, so new developments or progress does not occur each day the case is active.